Back in January I wrote about the extended ban on wild camping in some parts of Loch Lomond and the Trossachs National Park due to the mess that some roadside campers were leaving . Last year I wrote the following piece for The Great Outdoors about the ethics of wild camping. The Loch Lomond and the Trossachs wild camping ban has set me thinking about real wild camping and how it should be done. The phrase often used is ‘leave no trace’ (it’s even the name of a very worthy American outdoor organisation) but I prefer minimum impact as I think there’s always some sign you’ve been there, even if it’s only flattened grass or boot prints in the mud. Whatever it’s called though the aim should always be to leave an area as pristine as possible so that no-one passing by will know it’s been used and if anyone ever camps there again they too can have the joy of a real wild site and that feeling of being in untouched nature. The perfect site has a superb view; a smooth, flat, soft place for your shelter; water close by; and somewhere comfortable to sit and watch the world. And of course the weather should be warm and dry and windless. Sometimes that all comes true. More often it doesn’t. Another consideration anyway should be the nature of the site and whether you can camp there without doing damage. Luckily the places most easily damaged – flower meadows, marshy ground – aren’t generally that attractive for camping. The best sites are on firm grassy or bare ground that drains well and these are the ones that stand up best to camping. Such terrain may be on the edge of the wet meadow or marsh but it won’t be in it. Often small patches of this ground can be found along streams or on raised banks even when the surrounding area is boggy. Once a pitch has been selected it shouldn’t be altered. Indeed if it needs altering look for somewhere more suitable. Okay, the odd rock or stick may occasionally need to be moved but if you do so put them back afterwards (especially rocks). Old camping books often describe digging scoops for your hips or gathering vegetation to sleep on. Modern comfortable sleeping mats make these practices unnecessary. A particular bugbear of mine is the putting of rocks on tent pegs and then leaving them in a circle. I’ve spent too much time dismantling such rings over the years. They shouldn’t be necessary if you have a decent set of tent pegs (I always carry a variety for different types of ground) and if you do it all rocks should be replaced where they came from afterwards. The aim, remember, is that no-one should know you’ve been there. Care needs to be taken when cooking too. Camp fires are out unless there’s somewhere they can be lit without scarring the ground such as a shingle bank or you know how to make a fire pit or mound and how to restore the area afterwards. Backpacking stoves can scorch the ground too though, especially low profile ones (I confess to having unintentionally been responsible for this myself in the past). A disc of aluminium under the burner can stop this as can using a flat rock as a stand. Going back and forth to the nearest water can lead to little paths being created. This can be avoided by having enough containers that you can collect all the water you need in one go. This is easy to do with modern collapsible containers and is also convenient, especially when the weather turns wet, as you can stay in your shelter. Finally when leaving a camp check for any overlooked items such as tent pegs or tiny bits of rubbish. After packing my rucksack I like to have a last look round to make sure the site is as pristine as possible. All common sense stuff Chris and most of us are familiar with most of your points BUT I trust that some "offenders" will read this. 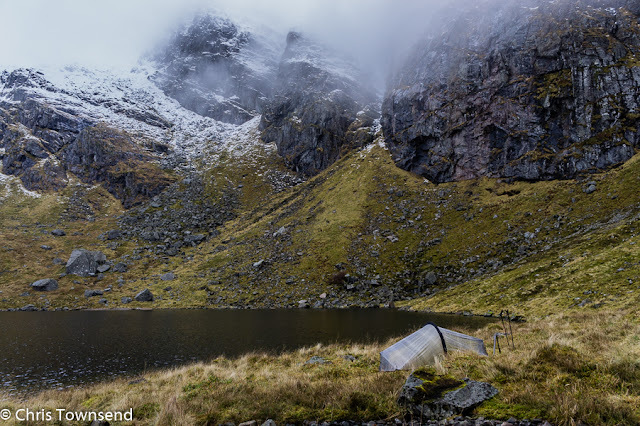 We've all seen evidence of less conscientious wild camping which can, all too easily, lead to the kind of draconian measures taken recently in Loch Lomond and the Trossachs. Well said. Common sense indeed, Chris, but I would add something about, ahem, toilet breaks. Popular camping spots in the Cairngorms are a nightmare in that respect. Lots of folks just do their thing, put the toilet tissue on top, and then move some stone on top of the lot, with the paper often sticking out from underneath. Not a pretty sight. Gross. 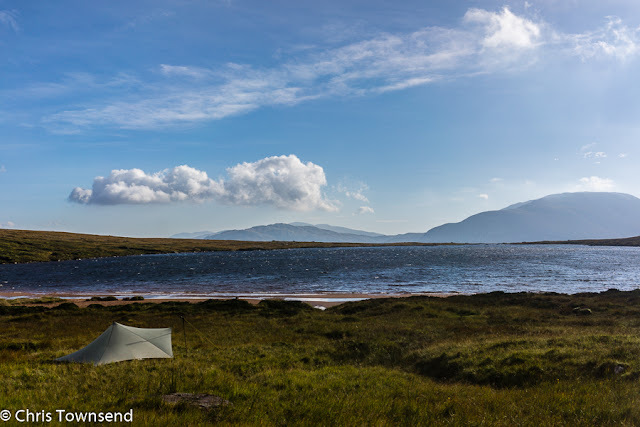 The first time I ever wild camped was on wallaby island on Loch Lomand. I was so shocked at the mess. We took away a fair amount of rubbish with us but without nitrile gloves and a thick bin bag I wasn't about to attempt clearing the loo roll & baby wipes left behind. 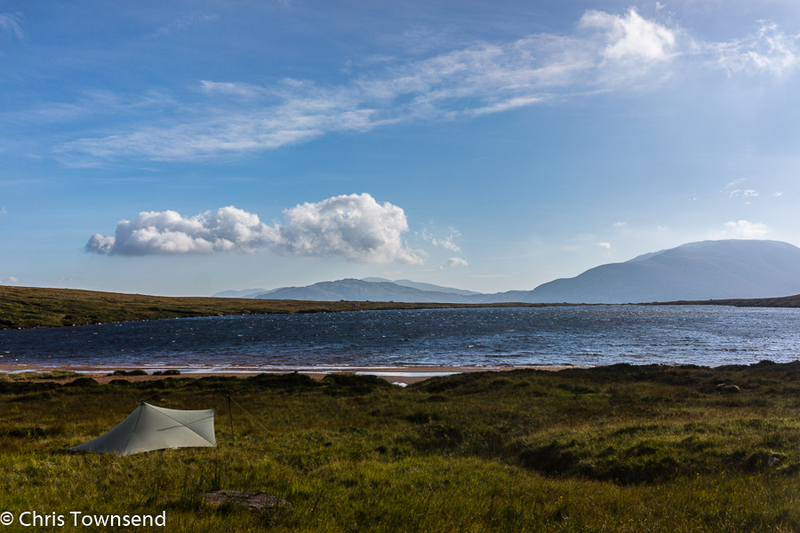 Wild camping on lochs further north has been much more pleasant! Individual inclinations manage the extent of your outdoors tents. It is imperative to check the stature determination before choosing, since this will figure out if you can sit, bow or remain inside your tent. In the event that you have to remain in your tent it is best to buy a tent no less than 7' high. A little fire and scorching does no harm and cooking over a fire on the edge of a sea loch or on top of a hill is part of the whole appeal of wild camping. While I obviously abhor leaving litter of any kind the remains of a fire in my opinion are fine and do no lasting damage of any kind. In popular wild camping sites the fire remains even act as a guide for subsequent fires so only a small patch is affected. Ok, but multiple fires in one place over time can create a real site of damage that can spoil a remote spot's pristine nature. Why not make a digging stick, remove the sod, enjoy your fire, then replace the sod and leave (almost) no trace? I would disagree - by leaving the marks of a fire we are detracting from the whole wilderness ethos, which in turn degrades the ecosystem. Anyone who's been camping in more popular spots where people have lit fires should realise that by leaving the marks of a fire you are in fact encouraging others to do the same - and not in exactly the same place as the original poster states. This leaves a "pock-marked" terrain which is attractive to no-one and promotes the leaving of other litter such as drink cans, packaging waste and even tents. Fires are OUT full stop. Many places are frequently used and the remains of the odd fire quickly turns into an eyesore. Much better to do without. Take only photographs - leave only footprints! No no no no no. No fires on grass, heath, fellside or anywhere where it leaves any trace. Never mind "it shows others where to camp", that's stupid. It encourages others to light fires and the damage builds up and leads to litter and eventually bans. Chris how is the tent holding up and can I ask what year was it purchased? Mine fell to bits! Tom, the tent dates from late 2010. I haven't used it much the last two years. The tent body is ok but the groundsheet has punctured or torn in several places. I bought mine in 2012 when the light weight cuben fibre was stiched throughout. After little use the entire outer started to come apart like a laddered pair of tights. The first issue with the tent was the original pole snapped and in due course was replaced by terra nova with what is a clearly stronger uprated pole. However, the outer terra nova wont discuss other than to say wear and tear without definition. I Was interesting to see if others have found the same to be true. Chris- what would be a good way to clean others fire pits? Is it as simple as scattering the stones? Thanks and cheers - love reading your blog! Thanks Eric. With fire pits It depends on the place and circumstances. If it looks regularly used I'd leave it in place because scattering rocks could well just result in more fire pits and rings being created. If it looks new or rarely used you could scatter the stones - as long as they're not placed on vegetation. Charcoal and half-burnt twigs can be scattered too. Any half-burnt plastic or foil should be packed out. It's almost impossible to remove all traces of a badly sited fire though. Just happened upon your site and had a good laugh. The rock rings are ABSOLUTELY one of my greatest pet peeves. Even in East Greenland on a remote island, I found a series of rock rings where tents had been erected--and it was not an aboriginal/cultural site. Also, fires should never be built on any vegetation. Fires are NOT a part of true leave no trace camping. Of course in many parts of the UK we're not talking about a true 'wilderness' are we. I've camped and enjoyed special evenings with a fire in the same hills for over 40yrs. I dont see evidence of more / larger /worse fire sites, other than more intrusive signage from the control freaks at the National Park. Locally , most of these fires are on traditional sites, probably used by drovers and others over hundreds of years. Guidance for me would be no 'new' fire sites or damage to vegetation, bring out everything thats carried in, and fill the litter bag with whatever others have left. All the best. i think we should collect all rubbish and coal remains after camping, don't pollute natural environment. We must save them for permanent maintain. That is so useful article, thanks! 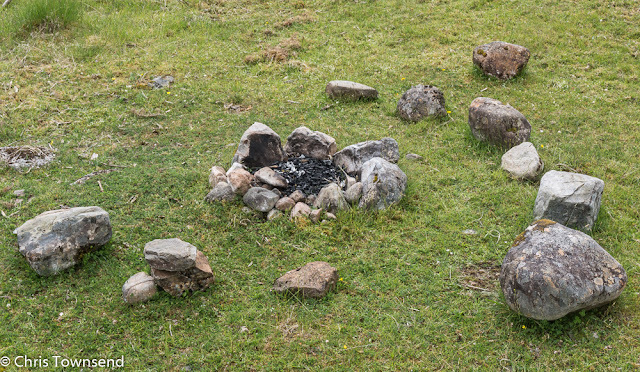 No doubt that most campers try to leave the camp site unscarred, but if it is a well used camping area I think it might be better to use 1 well used fire pit then try and contain multiple ones.